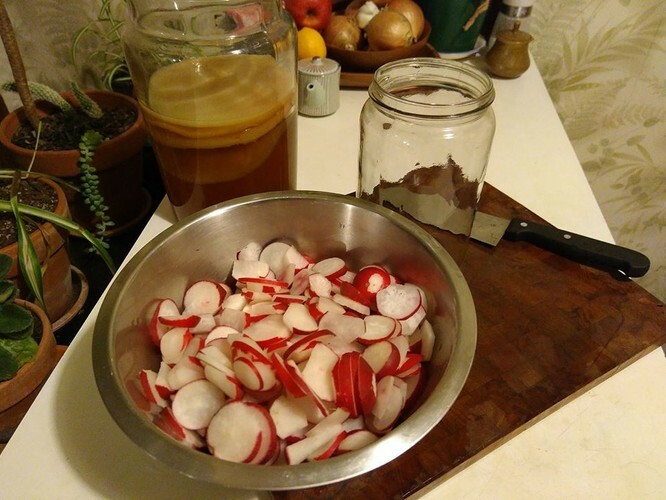 The fermented foods workshop with Bart Acres will be a crash course in the theory and practice of making delicious, nutritious fermented foods at home. Bart's workshops are known for placing an emphasis on understanding the underlying processes behind what we are doing. You will get to know the 'whys' and the 'hows', in addition to basic step by step guidance on making fermented foods. The deeper level of understanding you gain will better equip you to be creative and experimental in your future projects, using the raw materials you happen to have on hand in any given season. The class will begin with an educational session - providing a beginners level 'crash course' on the microbiology of fermentation, the basics of food sanitation and food safety, the science behind probiotics and prebiotics in relation to human health, and a troubleshooting guide for common problems in fermented foods production. This will be followed up by a practical component, in which we will make several different kinds of fermented foods and beverages, some of which you will get to take home with you at the end of the day to continue fermenting at home until they are ready to consume! Bart is a self taught mushroom growing expert, who ran his own mushroom growing business for 5 years. He is also a keen urban gardener, creating the Otepoti Urban Organics group and for many years running the Symbiosis Seed Exchange. Bart currently operates a boutique microbrewery in Dunedin, Stacpoole's Brewing Co.